Neuroendocrine cells release their secretory products into the extracellular environment via a calcium-dependent pathway. These particular cells share common morphological and molecular features, such as the expression of specific biomarkers, neurite outgrowth and dense-core secretory granules. In order to elucidate the signalling pathways leading from undifferentiated to differentiated neuroendocrine cells, the role of voltage-dependent calcium channels and central actors in excitation–secretion coupling has been comprehensively investigated. 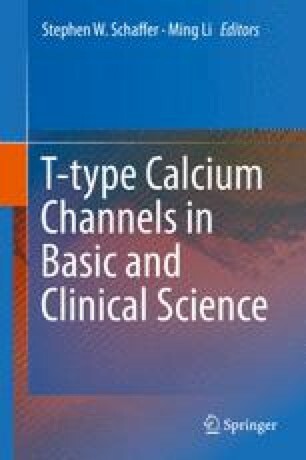 T-type calcium channels, comprising of three different molecular isoforms, appear to be one of the important calcium channel families involved in the neuroendocrine differentiation process. They also may participate in the development of neuroendocrine tumours.